They aren't trendy, but the myriad health benefits of carrots—from lowering cholesterol to preventing memory loss—are unbeatable. 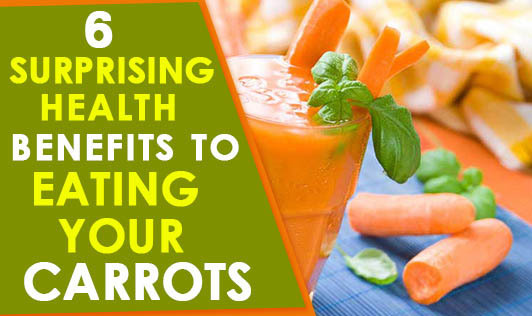 Carrots are natural health boosters that are best eaten cooked. Its greatest nutritional benefit is the high content of beta carotene (pro-vitamin A), which is the precursor of vitamin A and a powerful antioxidant;the body converts beta carotene into Vitamin A. They contain high amounts of soluble fiber, largely from pectin, which could be the reason they’ve been shown to lower cholesterol. If your parents told you to eat your carrots for better eyesight, they were on to something. Carrots won’t cure preexisting vision problems, but they can protect against sight issues caused by vitamin A deficiency. Carrots can prevent cataracts and macular degeneration, as well as night blindness, which prevents eyes from adjusting to the dark. Researchers concluded that the beta-carotene in the vegetables—especially from carrots—protected the central nervous system against aging. Carrots contain beta-carotene, a powerful antioxidant associated with lower diabetes risk. Carrots also contain small amounts of other vital nutrients such as vitamin C (5 mg per 1 cup serving) and calcium (96 mg per 1 cup serving). Many people, especially post-menopausal women, don’t get enough calcium, so while carrots might not contain much, every little bit helps.